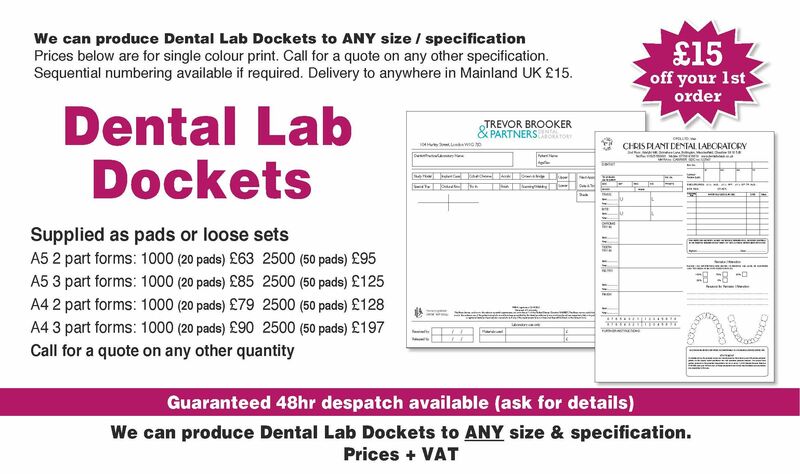 We can produce Dental Lab Dockets to ANY size / specification Prices below are for single colour print. 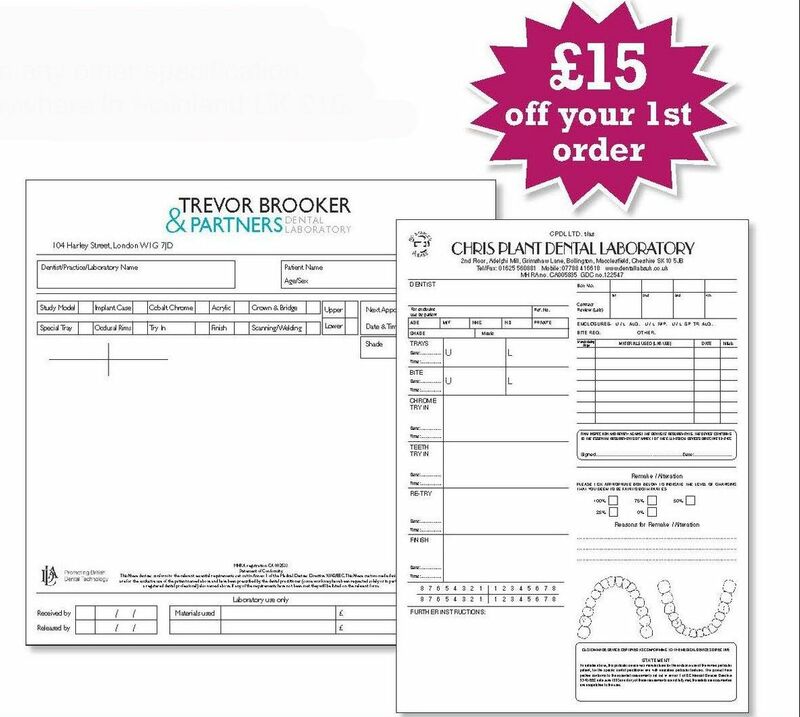 Call for a quote on any other specification. Sequential numbering available if required. Delivery to anywhere in Mainland UK £15.